Today I'd like to share a book written by a friend of mine. Eva Wong Nava lives between two worlds. She reads copiously and writes voraciously. We first met in Paris where we used to ride the public bus to school every day accompanying our young daughters. She has since moved to Singapore and our daughters are taller than we are by now. 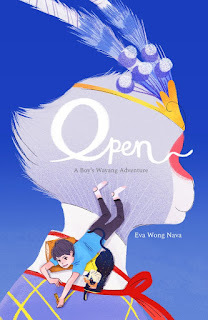 Eva is a very talented writer and has managed to bring together the rich and yet historical world of Chinese opera in the setting of a Singapore public school, exposing the thoughts, feelings and interactions of a special needs individual meeting that of a neurotypical world. 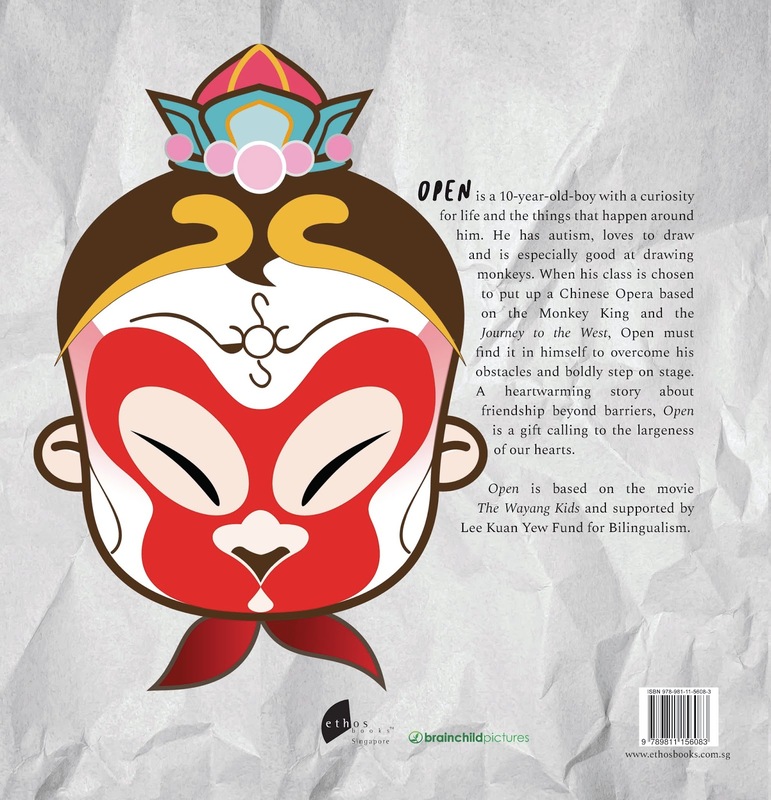 You're looking at the back cover of the movie edition of the book. Yes, the book is based on a movie, directed by Raymond Tan of Brainchild Pictures. Although most people would say that Open is based on the movie, the author says it's an adaptation of the movie. That's because the book tells the story in Benjamin Oh's voice. Who is Benjamin Oh? You'll have to read the book to find out.